On the west side of Little Egypt is another tiny dot packing a giant wallop. 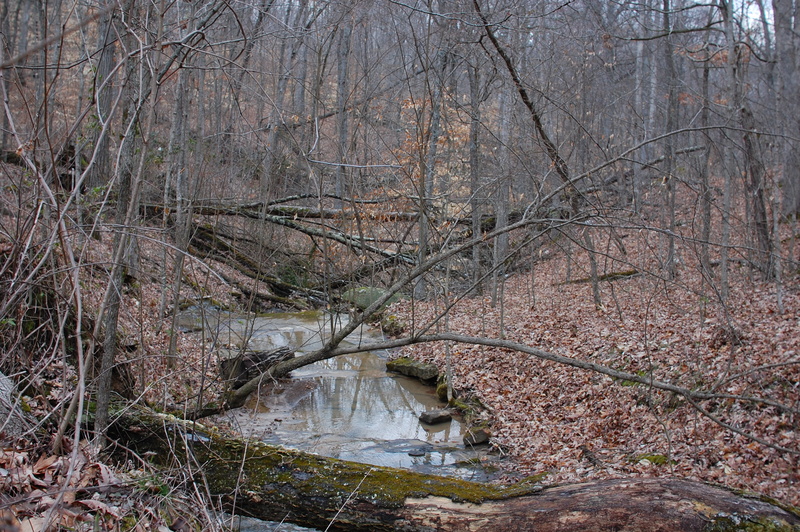 Pomona, Il has not one, but two dramatic natural features. They are the Pomona Natural Bridge and the Little Grand Canyon. There are of course other natural bridges and canyons in the U.S. What Pomona offers that, say, the Grand Canyon does not is solitude and the thrill of finding the right parking lot (and not to mention the thrill of finding your way back to a well marked paved road). At the cabin we always rent in Southern Illinois (Rustic Hideaway) there is a guest book. I would venture to guess that every fifth or so entry talks about being frustrated by the loop trail that descends down and up the Little Grand Canyon. A typical entry reads something like this: “Went to the Little Grand Canyon and got lost on the trail. Very steep. I am thankful to have made it out alive.” Once when Henna was very little (less than a year old) Corey and I almost made the full loop. We hiked all the way down and about a third of the way up when suddenly the trail became both very narrow and very blocked by several fallen trees. For a few feet we passed Henna back and forth while taking turns scrambling over the trees. Then our better judgement prevailed and we turned back. Since then we have attempted the trail three times and have never since made it to the bottom of the canyon. 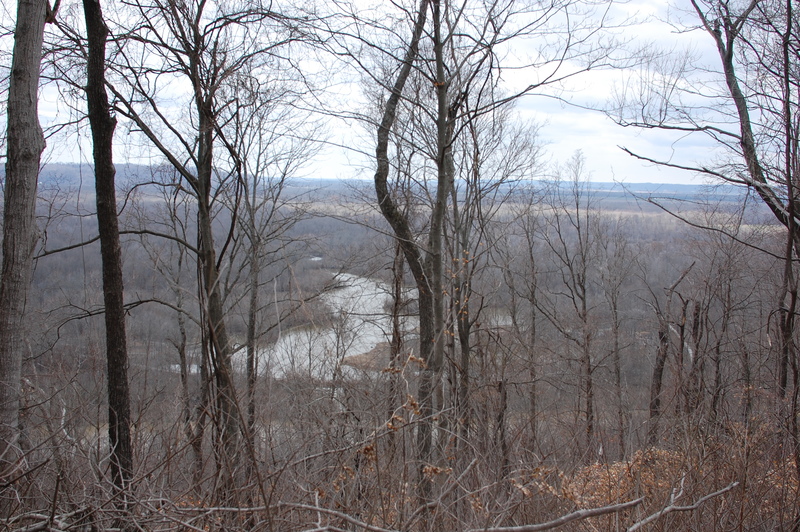 Last week we worked the trail backwards which afforded us a view of the Big Muddy (a tributary of the Mississippi). It was cold, we were hungry, and we had no intention of hiking very far. I think that is the best way to approach this unconquerable trail. The Pomona Natural Bridge is a bit of a challenge to get to but easy to take in. The windy gravel road leading to the bridge would not at all be out of place in the west. At the parking lot are a bear proof trash barrel, picnic table, and grill. Someday we hope to make use of those things. 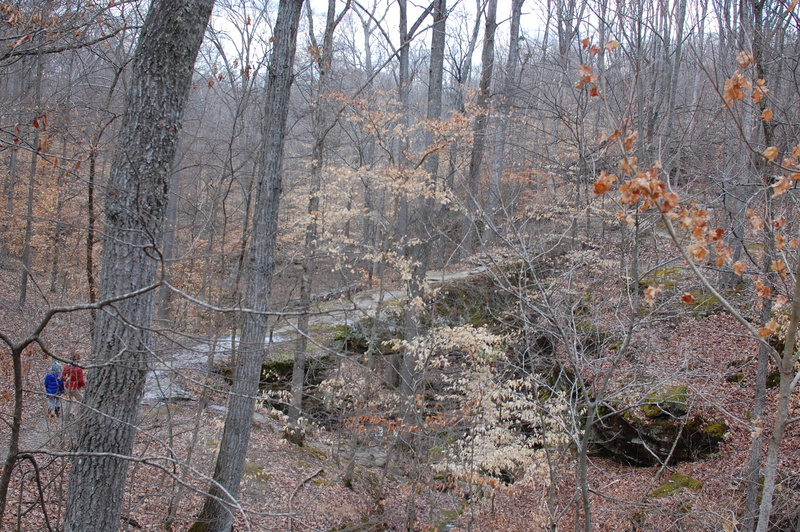 There also is a short trail that leads to and over the bridge. And, of course, there are several downed trees which make the trail a bit more challenging than it should be. This entry was posted in Southern Illinois and tagged Little Grand Canyon, Pomona, Pomona Natural Bridge by hennacornoelidays. Bookmark the permalink.